This southeastern Australia wine region is like the Burgundy or Sonoma Valley of the Land Down Under. All photos by Devon Trevathan. When picturing wine from Southern Australia, the Barossa Valley and its juicy, thick-skinned shiraz may be the first thing that comes to mind, but the region happens to be quite diverse. Travel just a few miles south of the Barossa and you’ll find yourself in a different territory altogether: the favorable Adelaide Hills, an area that precipitates elegant cool climate wines with excellent structure. The Barossa Valley, while sitting above the Adelaide Hills, is warmer and drier than the Hills. If that boggles you momentarily, remember that Australia is south of the equator, meaning up is down and north is hot. 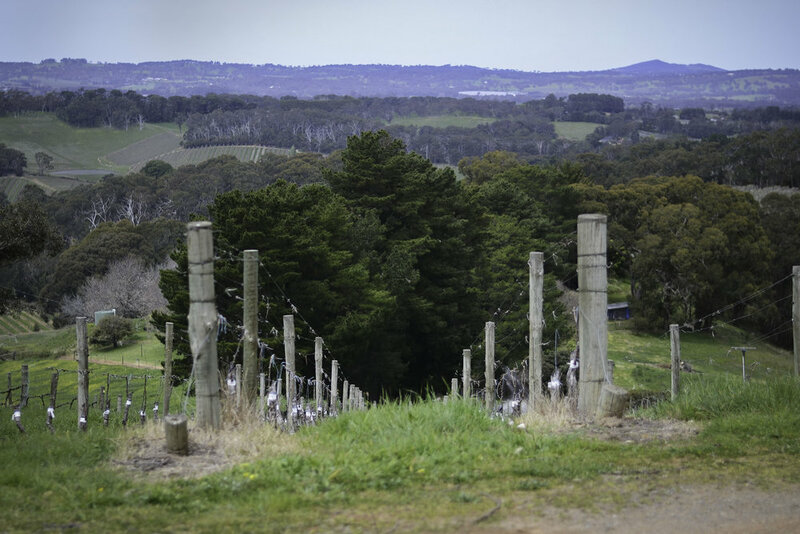 The Adelaide Hills face a separate set of challenges from its northerly neighbor. Planted on rocky slopes covered in clay amidst Mount Lofty, vines clutch at their steep hillside residences with all their scraggly might. Grapes mature slowly under a shroud of fog, and a cool breeze ensures unhurried ripening and the development of delicate flavors. 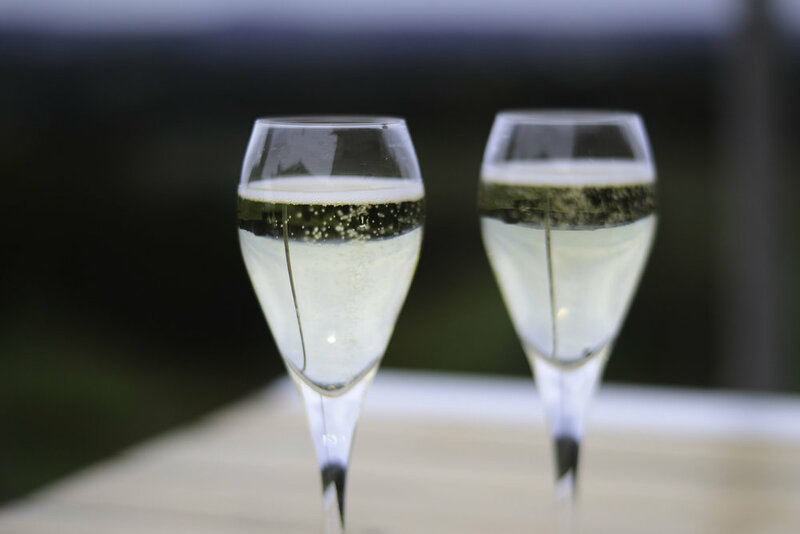 The Adelaide Hills is one of the coolest and most elevated regions in Australia, and Piccadilly Valley, one of two distinct sub-regions, has ripening conditions similar to that of Champagne, making it an ideal place to grow chardonnay and pinot noir. Sauvignon Blanc, gruner veltliner, and cool-weather shiraz are also popular exports of this region. The Adelaide Hills’ geography can be described as a mixture of sandy loams, loams, and clay loams over clay subsoils, though that portrayal barely scratches the surface. There is a great variety in structure there. The soil is often found in combination with shale and ironstone, and its variable depth is due to the undulating hills of the area. Ultimately, this translates to great diversity in the style of wine that can be produced there. The Barossa Valley may have history on its side—dozens of wineries had already been planted there by the late 19th century—but it’s today’s modern drinker that the Adelaide Hills appeal to. They consider themselves a leader in Australia’s “New Wave” of chardonnay, producing textured, lean wines with an acid structure that lends itself to aging. Like many other beverage-producing regions around the world, the Adelaide Hills has benefited in many ways from its lack of historical precedent. There aren’t as many preconceived notions about the wine that comes out of this particular part of the country, so vintners can take liberties when crafting their products. The Adelaide Hills has become a creative mecca for winemaking amongst South Australian regions. While it is still a touch early to ask that retail owners stock an abundance of wine from this region, there are a handful of Adelaide Hills wineries represented here in the United States. Bird in Hand Sémillon-Sauvignon Blanc Adelaide Hills Two in the Bush 2016 ($15) A distinctly delicious wine with lots of layers of delectable fruit on the palate, including ginger, grapefruit, pineapple, and zesty lime. This wine makes excellent use of the body and flavor of sémillon by marrying it with sauvignon blanc. Incidentally, their 2016 Merlot won double gold in the 2018 NY International Wine Competition. Unico Zelo Cherry Fields Dolcetto Polish Hill River Clare Valley 2016 ($26) This dolcetto is grown in soil comprised of shale on blue slate, which retains some heat from the sun to make for more developed flavors of maraschino cherry and red fruit. A grape of Italian origin, “dolcetto” might translate to “little sweet one,” but this wine is most assuredly dry, though there is enviable juiciness on the nose. Wirra Wirra 12th Man Chardonnay 2016 ($32) While Wirra Wirra’s vineyards in McLaren Vale are the source of their fine red varietals, it’s the Hills that they’ve chosen to provide grapes for their 12th Man Chardonnay, a wild-fermented chardonnay that scores top marks from critics. Shaw + Smith Pinot Noir 2016 ($32) The beauty of this bottle—besides its consistent palate of mixed fruit, dark cherry, and fresh strawberry, as well as the juiciness in its mouthfeel—is that a Shaw + Smith Pinot Noir will rarely set you back more than $35. With an aggregate score of over 90 points, that’s a bargain in a bottle.